A carved wood and parcel gilt over-door. 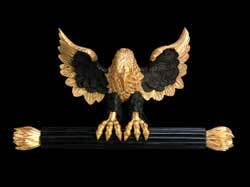 The richly carved eagle, with outstretched wings, grasps the turned and reeded column in its claws. 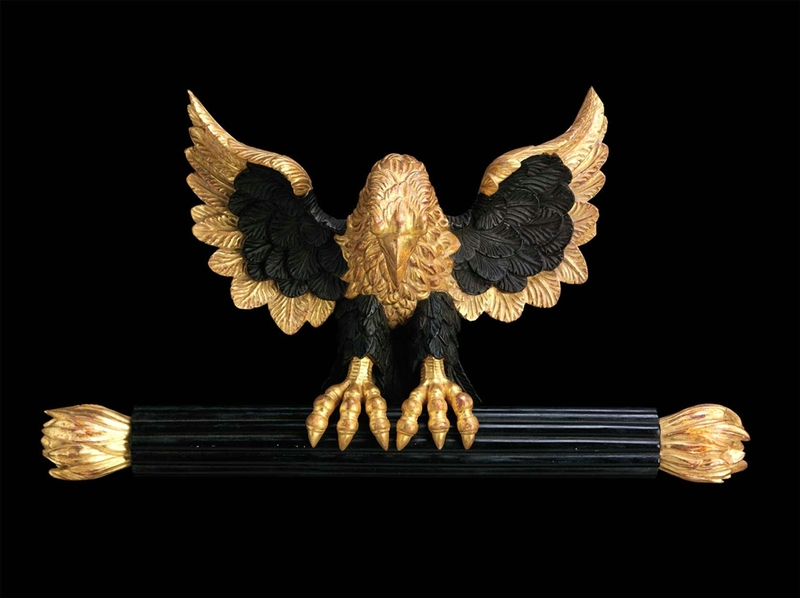 This over-door decoration is inspired by the designs of Percier and Fontaine, French architects, interior decorators and designers, who together, were responsible for the creation of the Empire style. Height 832mm / 32.75" -- Width 462mm / l8.25"